Modern bathroom interior concept with a white and black finish for maximum contrast and marble finish for best styling and charming appeal. 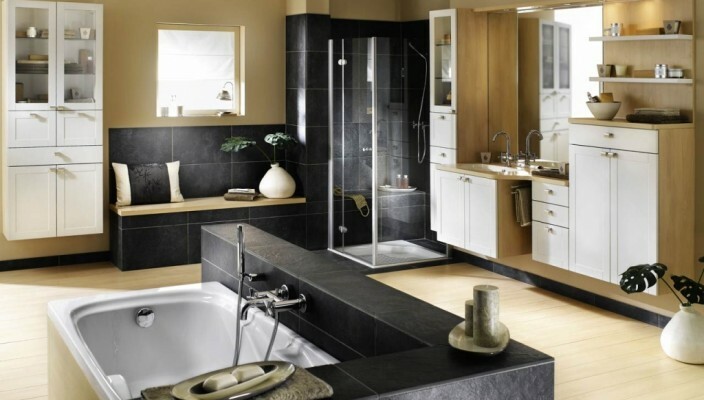 This classic modern bathroom theme is all about balancing style, essence, functionality and practicality. The white bathtub area has been bordered with a black border, while a small place for seating has been completed in the same black finish. The design also features a complete vanity unit that comes with white front doors, while the spa and steam unit has been placed on the corner with a black finish for the doors. The rest of the doors are in a light shade for maximum contrast.